Your warehouse floor is literally the base of your operation. Though it's easy to overlook the floor, this feature is critical for keeping product safe and processes efficient. Problems in your concrete floors can create major obstacles to a productive work environment. A deteriorating floor can slow down production and put your equipment, employees and inventory at risk. The concrete floor in your warehouse is sturdy, but not infallible. There are numerous things that can go wrong in the floor. Being able to spot signs of disrepair is key to keeping your warehouse floor in good condition. Concrete floors are porous and, unless there's a sealant applied to it, this can cause any amount of damage to expand quickly. Warehouse floors can become cracked or pitted, creating an uneven surface for forklifts to drive over. Floors can shift, especially at joints between two slabs. This will also create a bumpy surface for drivers, and may cause the slabs to pull away from each other. Moisture buildup is another issue for concrete floors. This happens most commonly during humid, rainy or snowy conditions. Cold storage floors can also experience moisture buildup, which can lead to ice forming on the floor. Damage to your floor can be costly to repair, and it's even more expensive to replace a section or all of your floor. However, the impact of a poorly maintained floor can have long-term consequences. Slabs separating at the joints and cracked or pitting floors will create uneven terrain to drive over. A floor in this condition can make for an uncomfortable ride for your employees. They'll likely feel every bump they drive over, detracting from any ergonomic features of your forklift. As important as driver comfort is, there are other serious consequences of driving over irregular surfaces. The bumpy ride will put product at risk. Uneven floors don't support pallets as well as pristine and smooth floors, and vibrations can cause product to fall over or knock together. Most indoor forklifts have cushion tires, which are designed for level, smooth surfaces. Pitted or chunking floors can wear out the tires quicker than anticipated, or even cause them to go flat. Moisture or ice on the floor reduces the friction between floor and tire. Slippery surfaces like these will impact the amount of stopping distance needed to brake, and could make it more difficult for drivers to steer. Warehouse floor maintenance begins with a simple daily step: sweeping. Twigs, debris and metal scraps that fall on the floor may look insignificant, but under the weight of your lift trucks, they can cause real damage. Concrete floors can become damaged quickly if they're not taken care of. Sweeping every day is a must, but it's also important to sweep before scrubbing the floor. Without this step, the debris can get caught in the scrubber pads and become abrasive, Modern Materials Handling explained. Sealing the floor can protect it against harm due to debris or salt, which can begin to eat away at concrete if it's not sealed, MMH noted in another article. This is especially important in areas that get a lot of snow and ice because employees often track salt in on their boots. 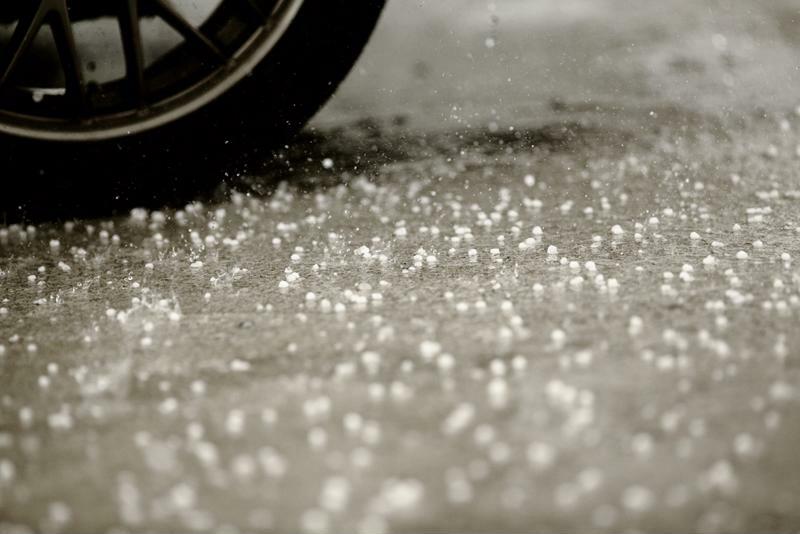 Trucks that are used indoors and outdoors will also bring salt in on their tires. To reduce moisture buildup, it's important to ensure there's enough airflow through the warehouse to encourage evaporation. Warehouse ceiling fans can also support evaporation. Mats placed at the doorway can catch some debris, salt, water or snow from boots before entering the warehouse. Last but not least, a periodic visual inspection can go a long way toward identifying early signs of damage to your floors. When you see a small imperfection, address it immediately; it may not be long before a small crack turns into a big pit. When you partner with National Maintenance Services, a dedicated on-site technician can help you identify and address problems in your floor or equipment quickly. This professional will review your assets so they can perform the right maintenance at the right time. To learn more, reach out to NMS today.